The London Residences Bumbak-Umalas are a new modern collection of four family-friendly villas inspired by mid-century architecture. Each villa is built on 3-Are land. On the ground floor you can enjoy a beautiful living space, and an intimate backyard with swimming pool. The second floor is where you can enjoy 3-ensuite bedrooms with walk-in closets and a balcony. 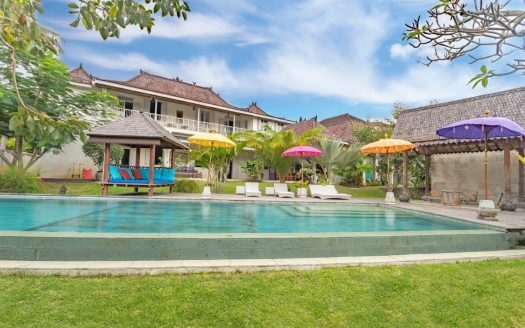 The London Residence Bumbak-Umalas is in the heart of Umalas, surrounded by rice paddies and only a few minutes walk from world class restaurants, International schools and a short drive to Seminyak and Canggu. The villas are currently under construction and are scheduled for completion by the end of June 2019 and are being offered with a 30-year lease.